Saturday, August 23, 2014 Kasini House’s Instant ARTSHOP will be at Wall-to-Canvas 5 at the Magic Hat Artifactory in South Burlington, Vermont. 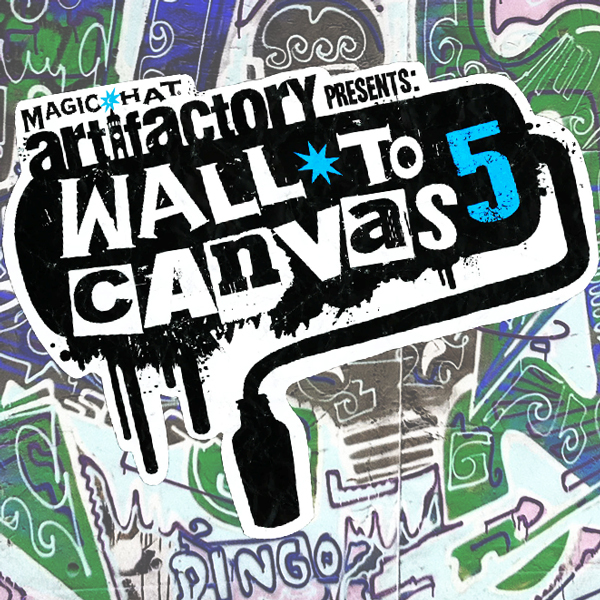 Proud to be in its fifth year, Wall to Canvas is an annual live art competition hosted at Magic Hat’s unique South Burlington Artifactory. Magic Hat has been putting a performance in every bottle of craft brew since 1994 and The Shelburne Craft School is where craft has been made in Vermont, since opening back in 1945. Together they create an event that boasts cold beers, fresh art, live music, and an opportunity to take a piece of it all home with you! Learn more about Wall-t0-Canvas on their Facebook page and website.